MP3 uses a lossy compression to keep the small size of the file. It is very flexible to change the audio settings in the MP3 format. AIFF format is very well in accordance with the quality of the sound and used in Apple devices. You can convert MP3 to AIFF format very easily using the online websites of video converter programs. In this tutorial we will discuss about how to convert MP3 to AIFF step by step. KeepVid Online Video Converter website is developed by KeepVid, which has a good reputation in multimedia field for more than 10 years. This online video and audio converter can convert MP3 to AIFF or any other popular format very easily. This converter website works on all operating system devices flawlessly without any issue, and it doesn’t ask you to install any third-party software to use. 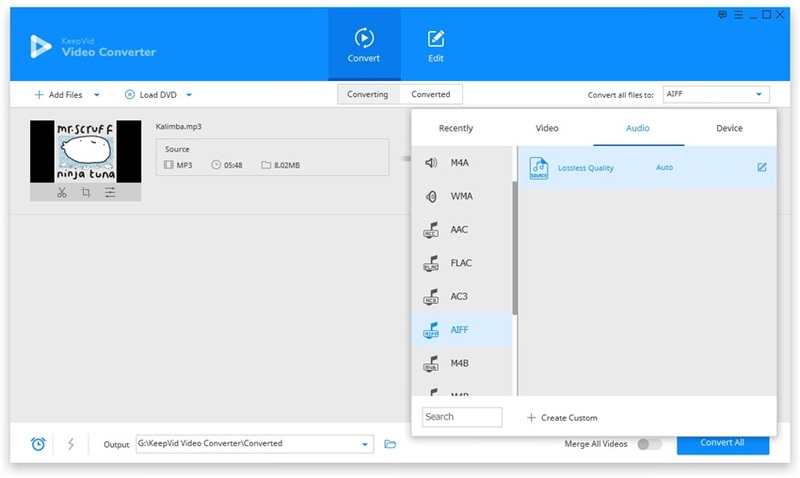 KeepVid online video converter supports around 50 audio video formats. KeepVid Video Converter is also a product of KeepVid, but it is developed for the desktop uses. This program is a complete multimedia solution enables you to convert, edit or download videos quickly. With the help of KeepVid Video Converter, you’ll be able to convert MP3 to AIFF with easy process. 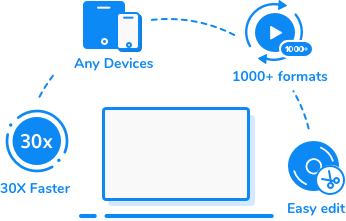 Let’s have a look at the features of this video converter program and how to use this program to convert MP3 to AIFF. It allows you to edit videos with helpful trimming, cropping and adding effects features. This program enables you to download videos from more than 10,000 video sharing sites.  It converts videos with 30x faster speed than any other video converter programs. Step 1. Start KeepVid Video Converter and add your MP3 file into the program. Step 2. Select AIFF as an output and click the Convert button. Step 3. When the conversion finishes, you can get the converted files in Converted tab. Download and install KeepVid Video Converter on your computer, then start it. After that, choose the Convert section at the top middle of the main interface. Now click Add File or Add Folder button at the upper left corner of the main interface to add the MP3 file into the program. Or you can drag and drop the file into program window directly. After adding MP3 files into the program window, the program will display the detailed information of this file. Now click the inverted triangle icon beside the Target area, and choose AIFF as an output. Or you can click the inverted triangle icon beside the Convert all files to button, and select AIFF in the pop-up dialog. After that, click the Convert or Convert All button to start converting MP3 to AIFF. 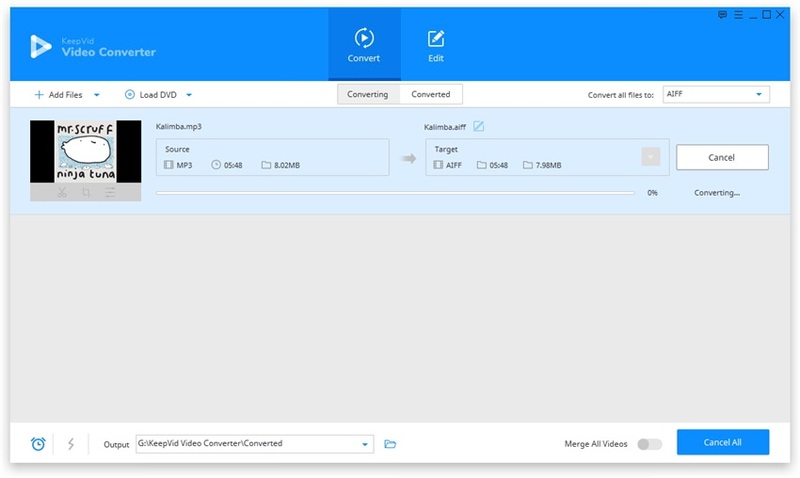 Now KeepVid Video Converter will show you the converting process. When the conversion finishes, you can go to the Converted tab to locate the converted file. You can also right-click the file and choose Open File Location to find the converted file in your computer. AIFF stands for Audio Interchange File Format. It is an audio file format and used to store the audio data to the electronic audio devices of apple. This is a development of apple and used for the apple iOS devices and Mac operating system. This format takes less space on the hard drive and mobile storage than MP3 and other file formats.